Lemon bars have got to be one of my all time favorite treats. They are light, delicious and remind me of the perfect spring/summertime dessert that you can bring with you to a BBQ. If you have yet to try anything Paleo because the whole concept of giving up refined carbs and refined sugar sounds like a scary/horrible idea these would be a good thing to start with. They are that good and might just change your mind about "clean" desserts. The topping for this recipe was adapted from here and the crust is my own creation that I have used for other Paleo desserts as well. Place your almonds in a food processor and pulse until you have small chucks. Do not over pulse or you will end up with almond flour or almond butter. In a medium bowl mix together the almonds with the honey, coconut oil. coconut flour and eggs. Line a 8x12 baking dish with parchment paper and and spread your mixture evenly on the bottom of the dish, pressing it down with the back of the spoon to make it nice and compact. Bake for 15 minutes or until the edges are lightly brown. After your crust is done put it aside and let it cool. 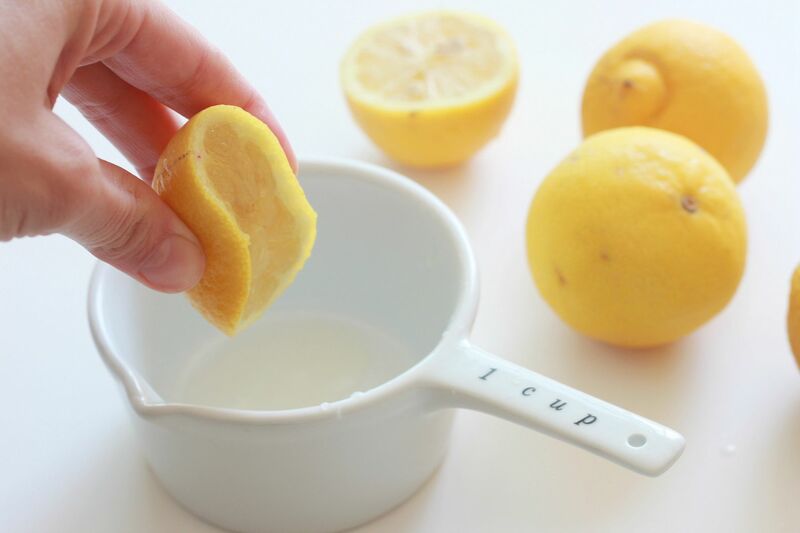 In a small saucepan, whisk together your eggs, lemon juice, honey and sea salt over medium heat. Slowly stir in the coconut oil and keep stirring it up until it is fully melted. Now whisk whisk whisk until the mixture starts to thicken. If you start to feel like you are a failure and your mixture is still liquid just know you did NOT fail and you just need to stir longer. 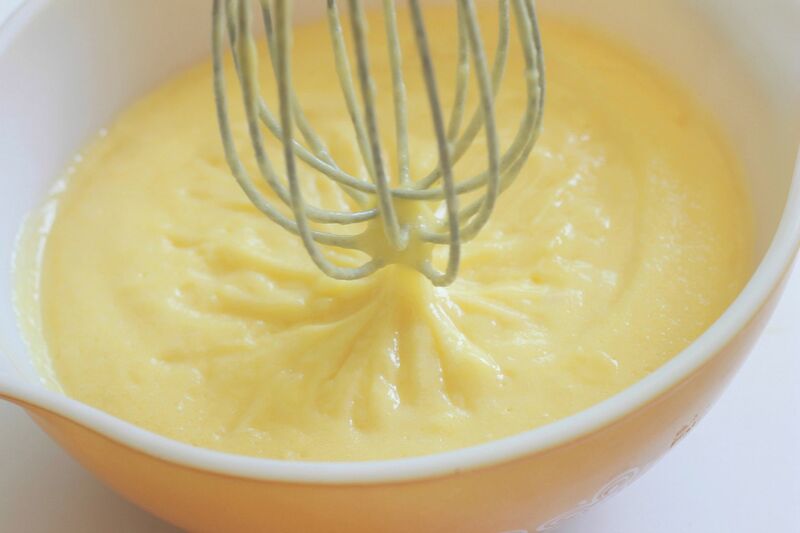 Once your mixture starts to thicken it should resemble pudding. When it is nice and thick, remove it from heat and and let it cool. 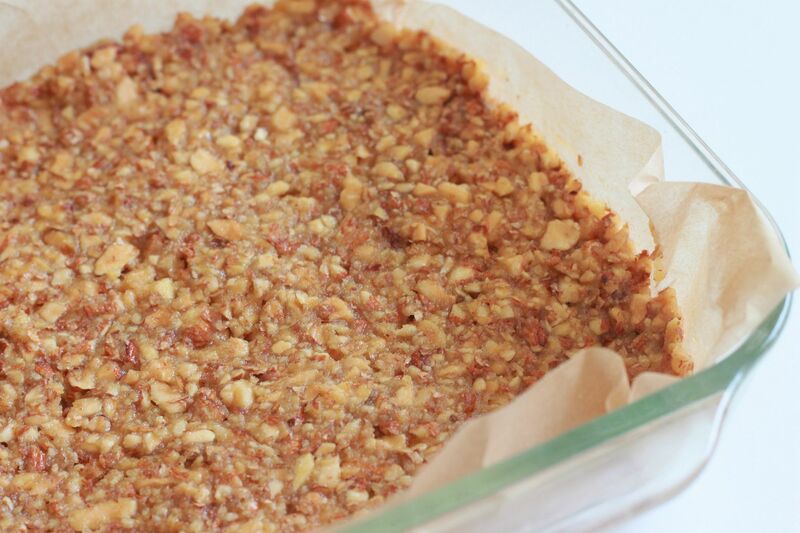 Once cool pour the topping over the crust and sprinkle the unsweetened coconut on top. Place in the freezer to let it set and harden. Once it has set you can place it in the fridge. These are seriously bomb diggity and made it a total of 4 days in my house until they were completely gone. 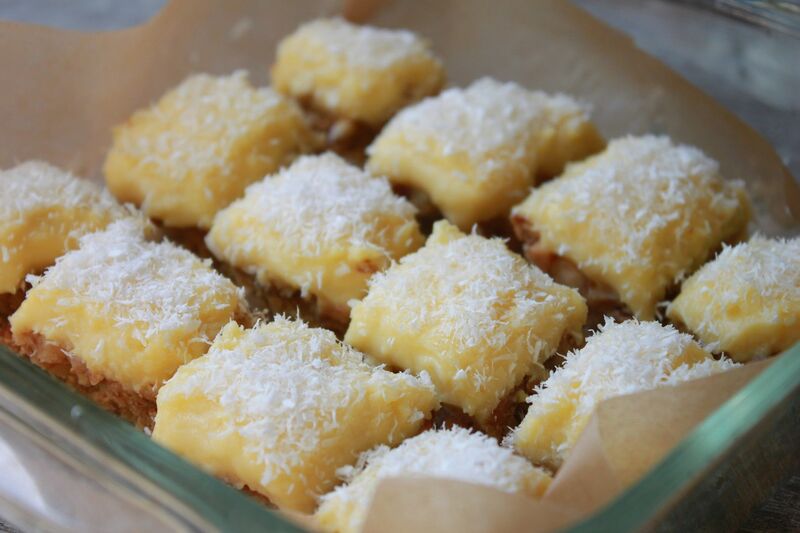 Makes 12-15 lemon bars and each bar has approximately 17 grams of carbohydrate. yum! these look amazing! i can't wait to make these!! can you get coconut oil and flour at the local grocery store or only a specialty store? Making these for Easter, will tell you how they turned out after! These look really delicious, as do most of your recipes. However, I'm reluctant to try paleo not to avoid refined carbs/sugar, but because most of the ingredients involved tend to be expensive and/or hard to get, not to mention a little earth un-friendly (think of everything involved in getting coconut products to your dinner table, for example). I love eating healthy, whole foods (including dairy), though. Just had to voice my opinion. Thanks for all the great posts! I'm excited to see more beauty and skincare tips! Leica- thank you for leaving your feedback. I plan on doing a post soon to help de-bunk some of the common misconceptions about eating Paelo. Paleo, in fact is one of the most "earth friendly" ways of eating and the benefits to your health are endless. Emily- most regular grocery stores should carry coconut flour and coconut oil. Thank you for sharing this bright sunny dessert idea. I'll happily prepare it for my two college kids who are home for spring break. Yum! They are one of my favorite treats too. I thought of you the other day because I made "banana ice cream." Just whipped up frozen banana in the food processor and added peanut butter and honey. So yummy. OMG these look delicious! I need to try them, I'm salivating! Can I know what brand of honey,coconut flour and coconut oil you are using for your baking recipes ?? I seriously can not wait to make these! Can you use almond flour vs coconut flour? These are delicious but my kids would like them more if the coconut flavor was less prominent. Any substitute for the coconut oil? I am not strict paleo so could try butter if you think it would work. For those of you wanting to know if you can use substitutes, I have only used the recipe that I have listed and have not tried other variations but you are more than welcome to play around with the ingredients and let me know how it goes. Those look wonderful! I'll have to give them a try! I made these today for our Easter dinner. Wow, they were delicious! I don't follow the Paleo diet, but they were just as good as any other dessert I could make. Thank you! My Filling part got cooked egg pieces in it while attempting this recipe. Any suggestions? (Other than give up baking)lol My track record with baked goods isnt the best! HANDS DOWN the BEST Lemon Bar EVER!!!!!!!!!!!!! I can't stay out of them! The best! I made these for my daughters 3rd birthday party, I think i converted a few people to paleo as a result! Thank you for the recipe. I loved loved the filling, so good. I wasn't as over the moon about the crust. Perhaps I would have enjoyed it more if I didn't leave some almonds chunky or maybe use roasted (unsalted) instead of raw. May tweak it next time. But I very much enjoyed this. These are amazing!! The filling goes really well with the crust! Yum! I have made these twice-once following the recipe and once substituting half the coconut oil with butter. My advice is FOLLOW the recipe! The contrast of coconut and lemon is such a better taste than butter. Yum, these are so good! These are extremely delicious!!!! I can't stop eating them! Just wanted to say hi and that you have totally converted me to paleo! haha. Who knew eating this healthy could be so good right? I am 29 weeks pregnant and a Type 1 diabetic as well. My blood sugars had been going out of control the last month until I went on your site and found all of your recipes. As soon as I cut out the dairy, grains and processed foods, the results were amazing. I am so relieved because I was worried about my baby boy from of all the high blood sugars i was experiencing. Now, I haven't seen a reading above 160 in over a week, Thank you(: God bless! These were fantastic! I halved the recipe and put in an 8x8 dish but forgot and made the full amount of filling. They were still awesome! I think he got a hard head and won't shut up until he can get a bit. Now, the lemon bars I made turned out to be a lemon bowl as he scooped it up tonight. He keeps munching while saying delicious for over a 100 times (now, that's just an exaggeration!) 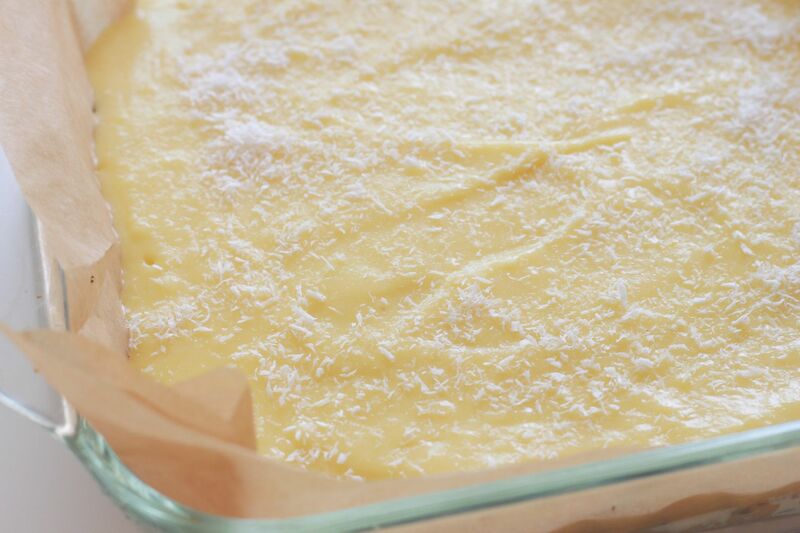 But, thank you for sharing this lemon bar recipe and tomorrow, I'm going to cut them in BARS. I made these yesterday. Delish, great hit with my husband and 8 year old son. My 3 year old is not so keen on nutty texture. Oh well more for me. Lol. Loving your website by the way, originally looking for low carb bread. 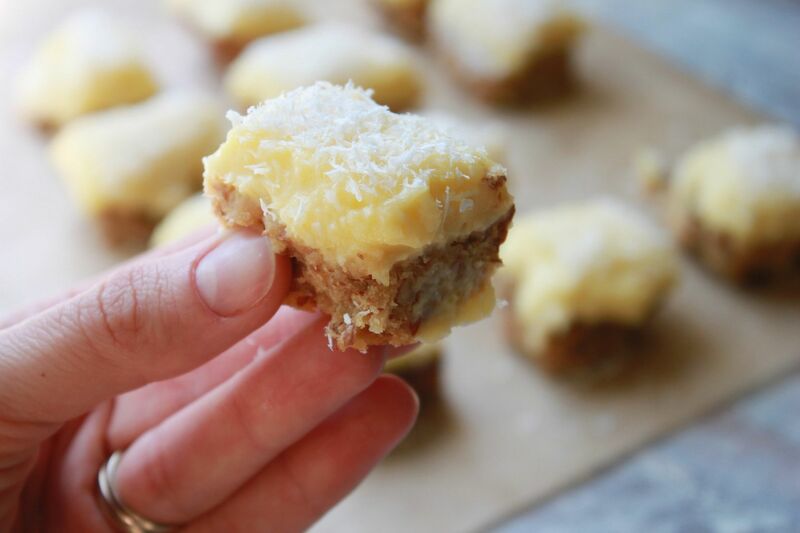 Ok I have been dying to make these since I saw them..lemon bars are my absolute favorite thing and I've had none since I went paleo a year ago...i made them tonight and they are A-MA-ZING! Question - do you keep cooking/stirring the mixture over medium heat the whole time? Or at some point before you're done mixing, do you turn the stove off? Just curious, sounds delicious but work intensive to keep whisking for so long! This looks amazing. Can you use golden syrup instead of honey for people that are fructose intolerant? Can you make these without the honey? I've already cut out sugar and I'm used to it so don't need the sweetness. Does the honey help bind the ingredients and needed to make it firm? These were DELISH!!! I used almond flour and it still came out great!! They turned out incredible. Thank you for the recipe. I used pecans instead of almonds and the crust turned out fantastic! Can you give any nutrional information for these and would the recipe be the same when using limes? They look amazing! These are amazing and I have not even finished the recipe. Thank you for all your wonderful recipes. As a new person on this GAPS journey, I appreciate something so wonderful tasting that is GAPS legal. Best paleo treats I have ever made all have come from you! This one was made tonight for the first time and they are so ridiculously amazing! They stole the number one spot from your snicker doodles! I made those as well as your almond butter chocolate chip cookies tonigt and my freezer is stocked for a while! I will be making this filling again to eat like a pudding! It is so tasty and I love the tang - not too sweet, just the right amount of tartness. Thank you so much for your site and sharing your genius!! How do you keep the egg chunks from forming while whisking for the topping? Help! Hi! This might be a silly question, but I just came across your website and was wondering if the filling (eggs) in this recipe are whipped over medium heat over the boiling water or directly on the stove? The picture only has a bowl with the mixture so I'm little confused. Assuming over boiling water... Thank you! Can I replace the honey with agave nectar? I tried these and they turned out wonderfully! Delicious. You wouldn't even know they're paleo. The custard is great, I used it in between two layers of a paleo cake and that was delightful. Spot on recipe. Hello, are you sure this sets solid in the fridge? When I took it out of the freezer it was still soft.. Hope someone can help with this. Thanks so much.